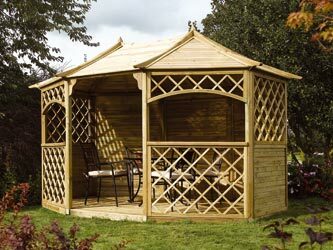 An eight sided gazebo comprising of solid full height panels, half height infill panels and trellis panels. Pressure treated natural timber finish. Supplied flat packed with easy to assemble instructions.